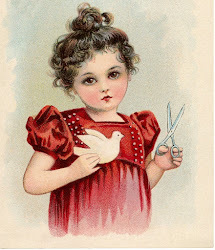 Hi there crafters! 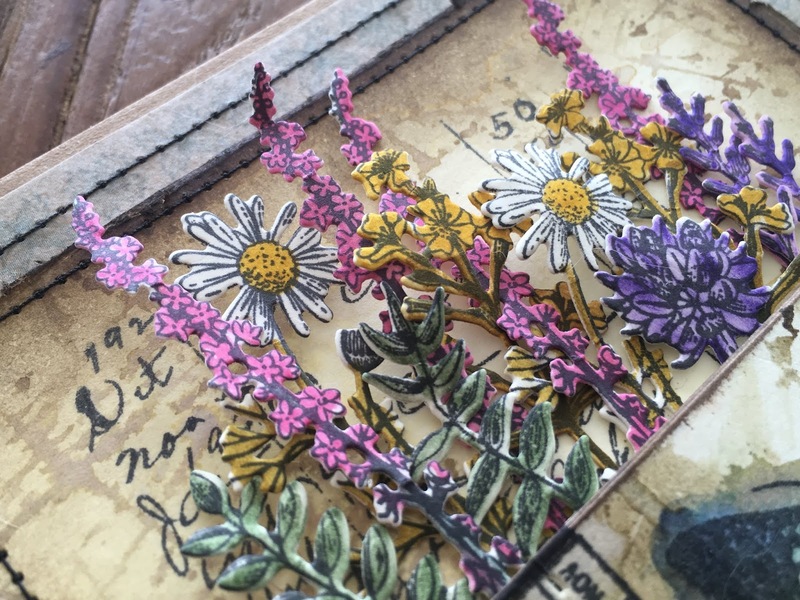 Autumn here with you today with our latest challenge. 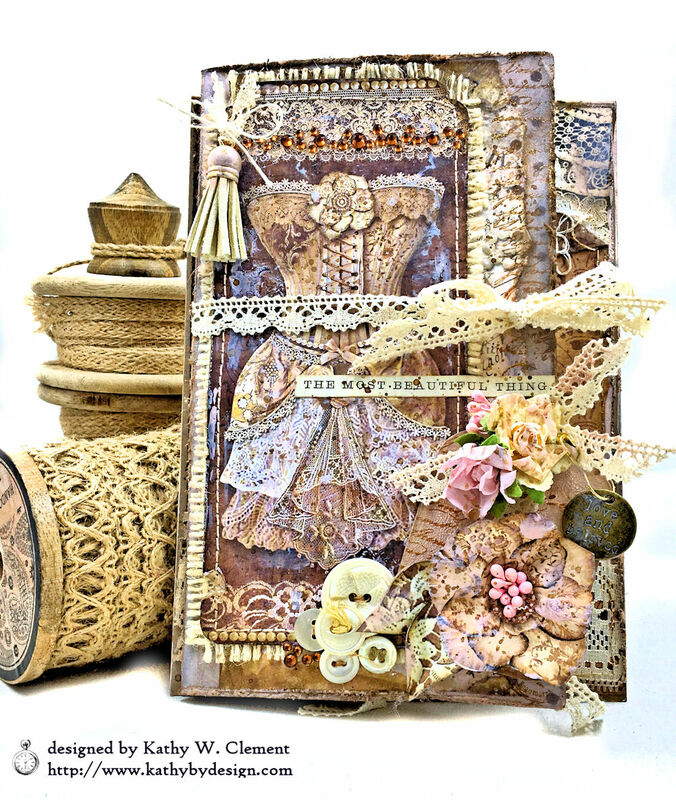 I've chosen the theme 'Layers of Lace'. Lace, oh so lovely lace! Whether you add delicate layers of fine lace, or tattered and torn crocheted lace, we'd love to see you add dimension and depth to your vintage or shabby chic project with lace. 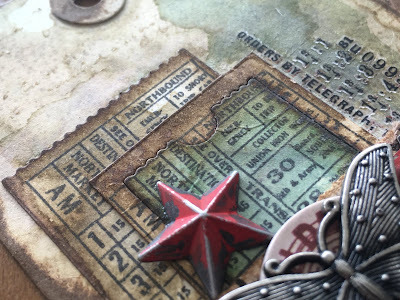 Perhaps you have a favorite lace stamp or will choose to lace something up, we'd love to see your creations inspired by this topic. The Funkie side of the team now shares a wonderful selection of lacy inspiration for you. Remember, you can click on the image for a larger view of each project. The Frilly side of the team kicks us off with a beautiful array of lacy inspiration for you. Remember, you can click on the image for a larger view of each project. 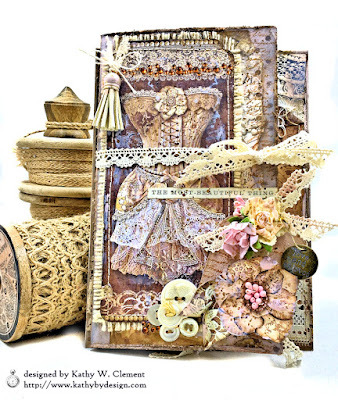 We hope this theme perks your creativity and you will link up your vintage or shabby chic lace themed project in this challenge. You have until 11:59PM EDT on Tuesday, June 5 to link up below. The Funkie side of the team will be back next week to share more inspiration, so be sure to join us then for a double dose of lacy goodness. 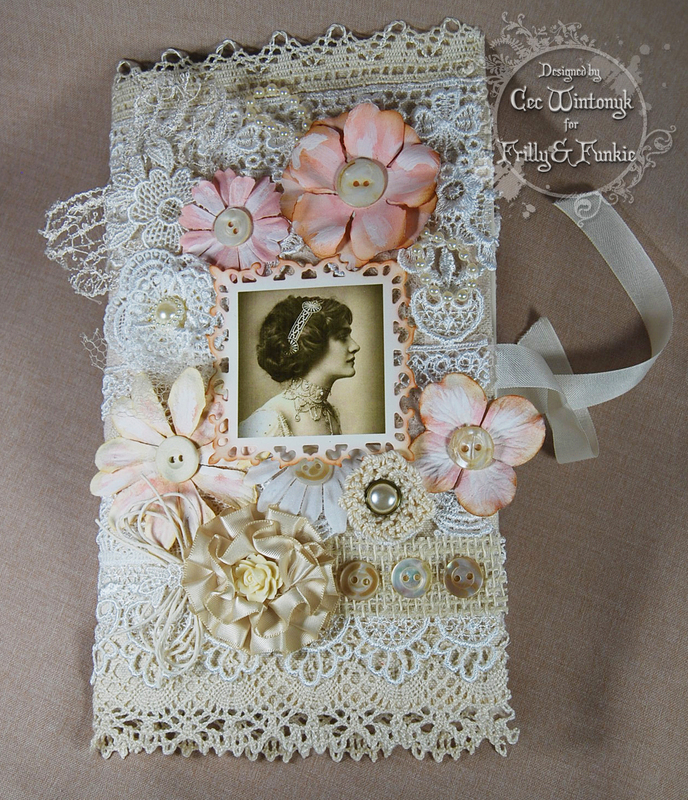 And tomorrow we'll be sharing a post from our latest fabulous Guest Designer. I know you won't want to miss that! Challenge Winners - Surf's Up! Hi everyone! Today we announce our top picks from the 'Surf's Up!' challenge. We were delighted to see such beautiful beach themed projects from all the participants. Thank you to all of you who took the time to join in the fun. 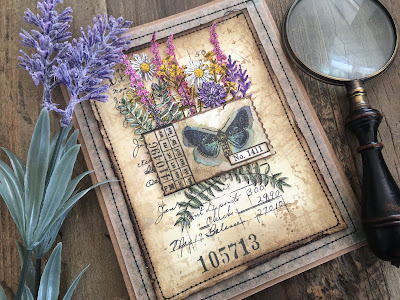 Having taken time to look at them all the Design Team chose #14 Lyla Larimore who shared this incredible project that has to be seen to be believed - find it HERE. 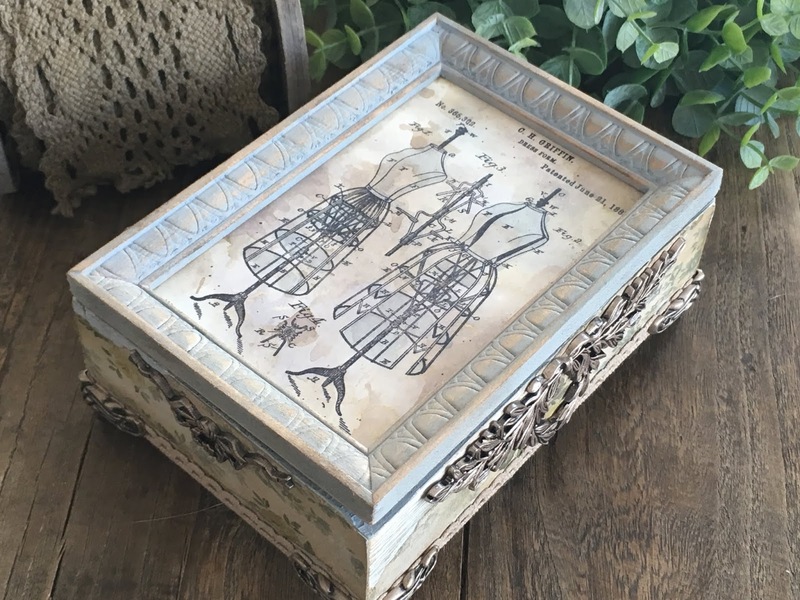 We all marvelled at the level of detail that went into both the cover of this treasure chest, it's contents and the chest itself, and were all transported to a life on the ocean waves immediately. Congratulations Lyla on being our favourite and winning the opportunity to be a Guest Designer here at Frilly and Funkie for a future challenge. You will be contacted with all the details. And now for the three winners of our Frilly and Funkie Top 3 Badges for this challenge; the choices this time were, in numerical order; #10 Glenda, #13 Lucy and #15 Karen. Please email Linda at thefunkiejunkie@gmail.com for the codes for the Top 3 badges so that you can display them proudly on your blog. And finally we have a randomly chosen lucky winner for the $25 gift certificate to The Funkie Junkie Boutique. 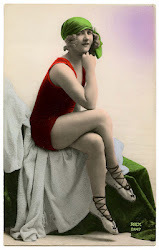 Our congratulations this time go to #8 Dorothy! Please email Linda at thefunkiejunkie@gmail.com for the gift certificate details. A big thank you again from the Frilly and Funkie team to everyone who took part in this challenge and congratulations to all our winners. 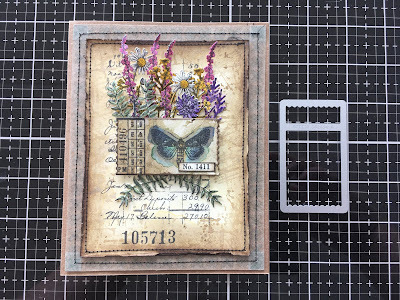 The current challenge, 'Layers of Lace' runs through Tuesday, June 5th and the Funkie side of the Design Team will be back here on Wednesday May 30th with some more inspiration for you. We hope to see you entering this time around so that you too can be in with a chance to win. Memorial Day Sale at The Funkie Junkie Boutique! Check out the great bargains over at The Funkie Junkie Boutique this weekend for our Memorial Day Sale! An extra 10% off our already discounted normal pricing plus an extra 10% off our Hot Deals and our Clearance prices. For example, the awesome Tim Holtz Ticket Booth stamp set is sale priced at $15.37 and the Ticket Booth Framelits die set is $13.59. No coupon needed - the prices have already been reduced! 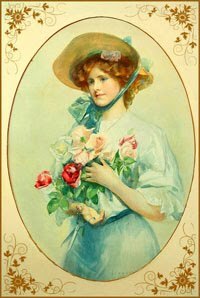 Shop now through May 28th! Hello and welcome, Zoe here hosting this weeks Saturday Showcase. 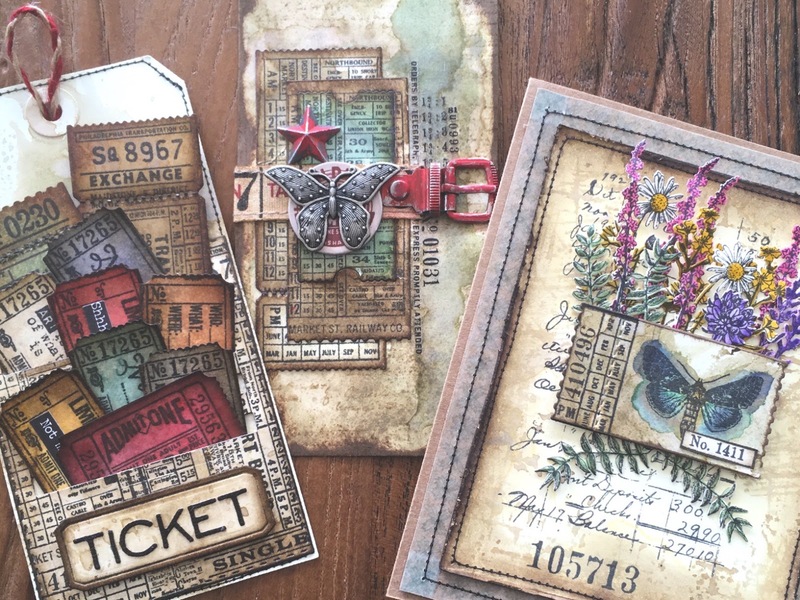 This week I am showcasing the Tim Holtz Ticket Booth stamps and framelits dies. Stampers Anonymous and Sizzix partnered up again to create matching stamps and dies for the Tim Holtz line. As mentioned in a previous Saturday Showcase, the dies that accompany the stamp sets are "framelits," not to be confused with "thinlits" dies (which are standalone dies). "Framelits" are named (quite literally) because they frame the stamp. 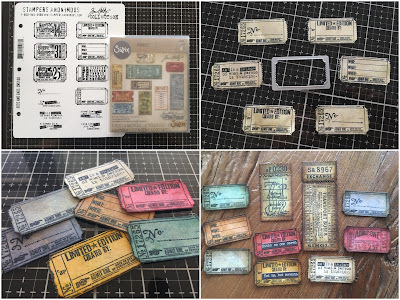 So if you ever wonder if there are dies to match Tim's stamps, check and see if there is a framelits set. At the end of each project I have shown which framelits dies I used for reference. 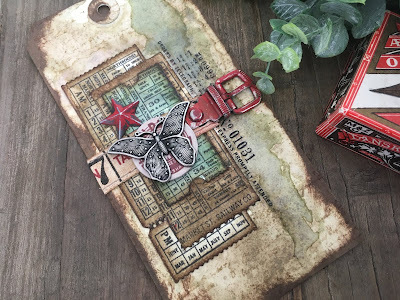 To create the tickets, spritz frayed burlap distress spray onto the Tim Holtz glass media mat and drag a distress mixed media heavystock tag through it. Spritz with water and dry with a heat tool. 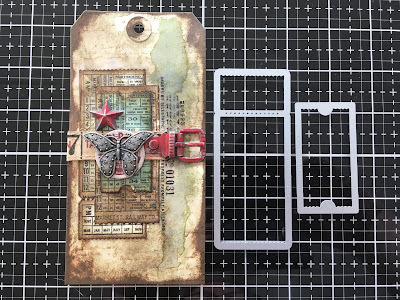 From the Tim Holtz Ticket Booth stamp set (CMS337) stamp a ticket onto the heavystock tag using the Tim Holtz travel stamp platform. 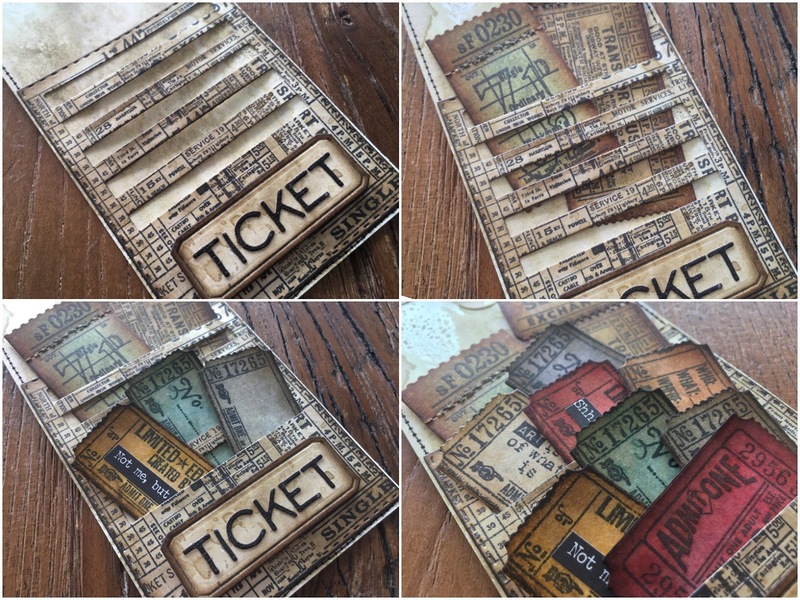 Using the accompanying Ticket Booth framelits set, die cut the ticket. These will all fit into the Sizzix sidekick machine! BONUS! 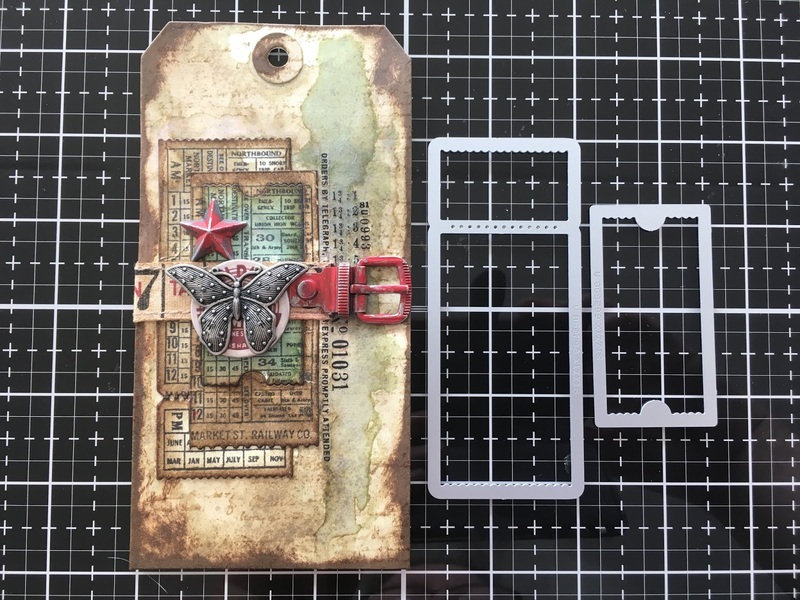 Another BONUS is that the Ticket Booth framelits dies will also cut stamps from the Tim Holtz Odds and Ends stamp set (CMS100)! This was the first Tim Holtz stamp set that I ever bought. Using the stitched slots die is a fun way to create some tickets to store in your planner or travelers notebook. 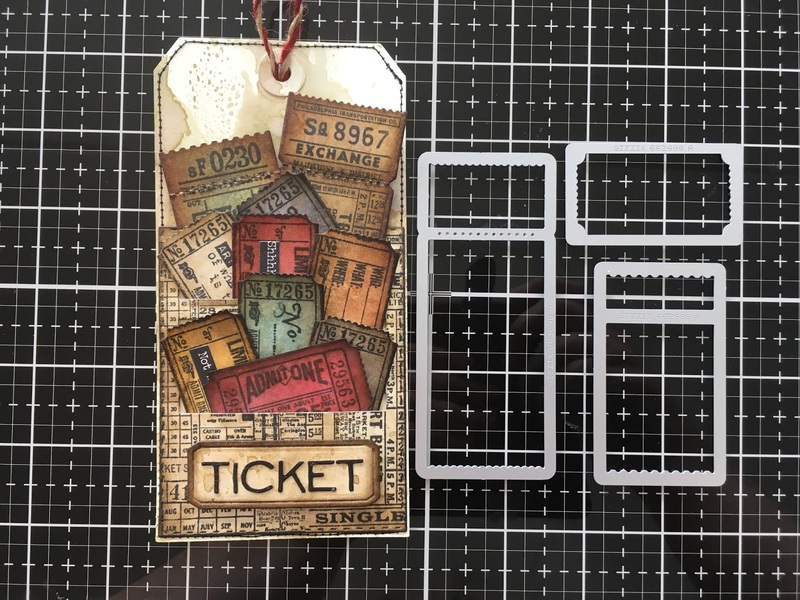 I stamped the die cut stitched slots with ticket booth stamps to create a background and adhered it to a tag with distress collage medium. 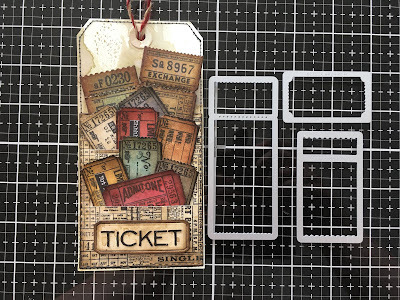 I added "ticket" with die cuts from the alphanumeric thinlits die set and tucked the tickets in. 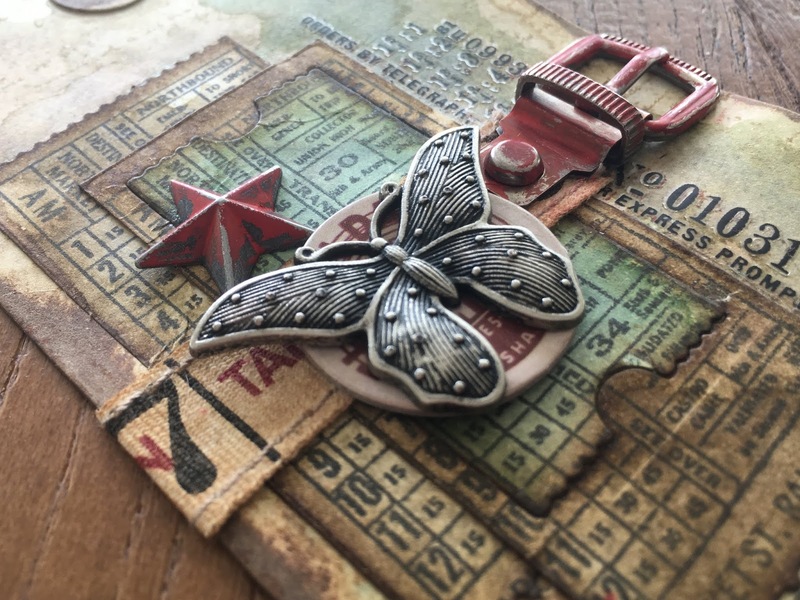 Check out this cool video by Tim Holtz showing how to ink a die to create highlights where the crease detail is. 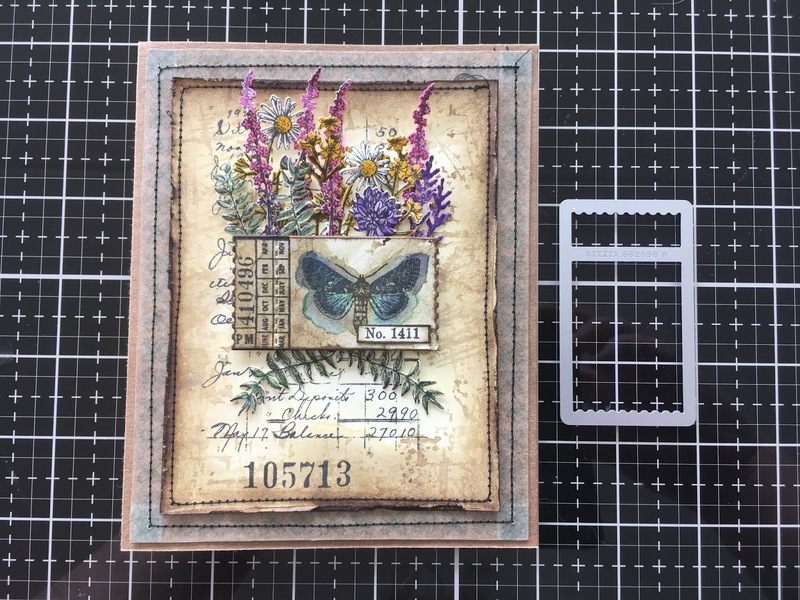 Stamp a moth from the Tim Holtz Entomology stamp set (CMS328) in frayed burlap distress ink using the travel platform and leave the stamp in place on the platform. 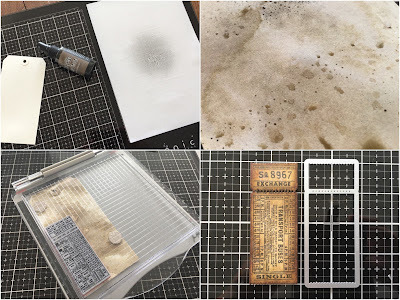 Squish distress ink onto the glass media mat. 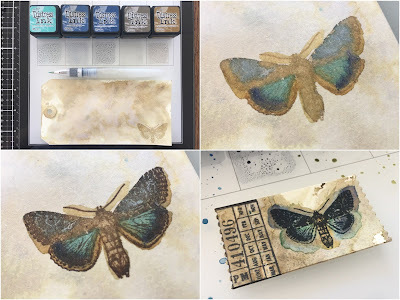 Pick up the distress ink with a water brush and paint the moth. 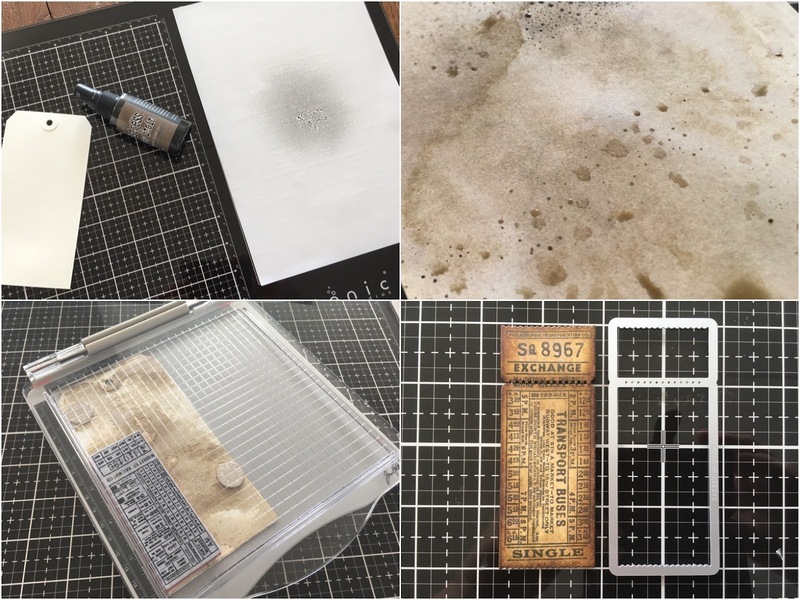 Place the tag back onto the travel stamp platform, (this is why you leave the stamp in place) and stamp over the top with archival ink. 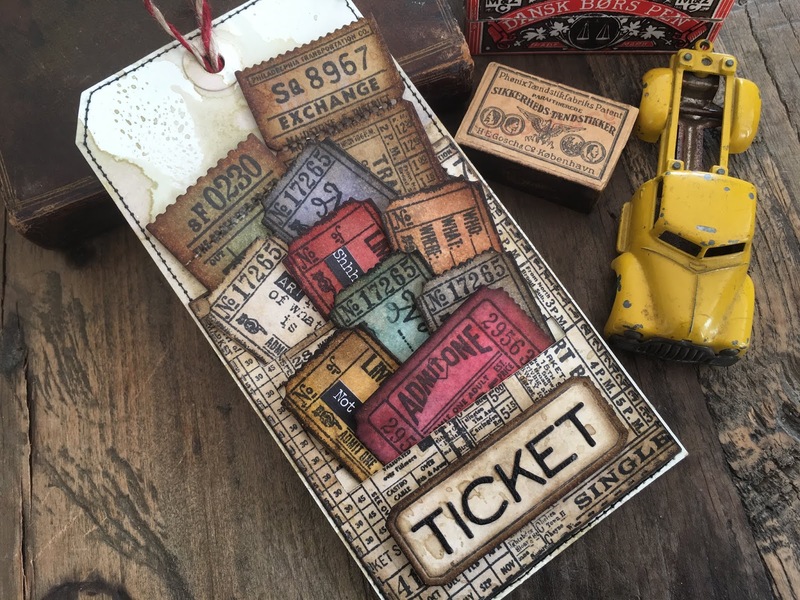 Die cut the ticket with the ticket booth framelits die and add a little stamped detail onto one end with the ticket booth stamps. Drop water onto the moth using the water brush and let it wick before drying with a heat tool. 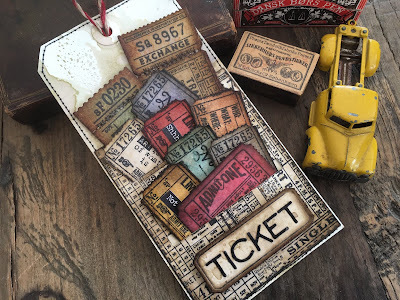 I love that you can use the ticket booth stamps in so many ways, mixing and matching the dies and using portions of the stamps. Speaking of mixing and matching, I used some of the leftover flower jar die cut stamps from my last Saturday Showcase. 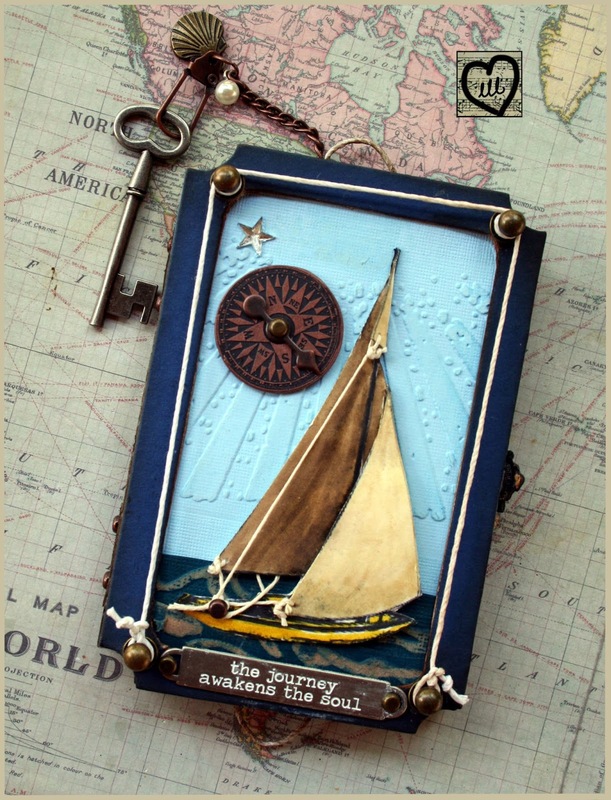 It's always worth making a few extra and so simple with the Tim Holtz Sizzix sidekick. The ticket on this tag was a "happy accident!" 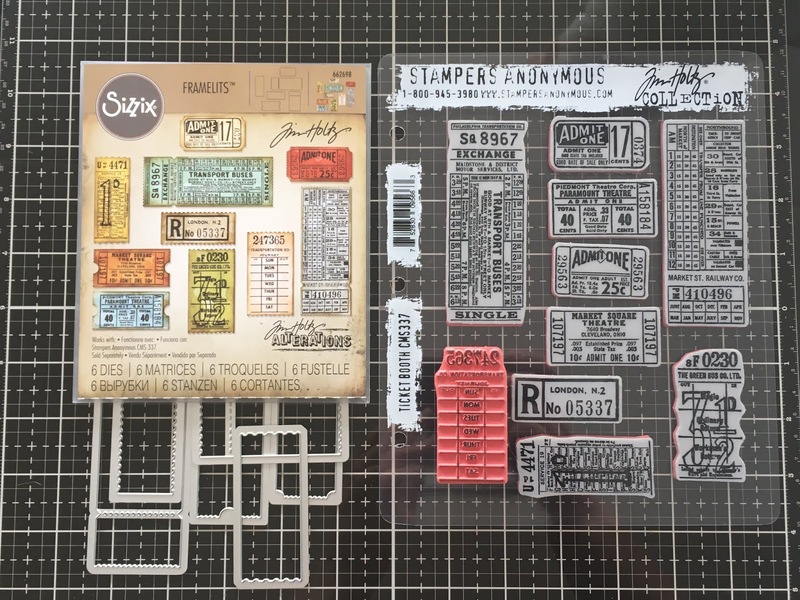 I had stamped a ticket onto heavystock but it was too close to the edge to die cut with the framelits die I wanted to use. Waste not, want not, I layed over a smaller die from the same set and blended in ink. I noticed I had a perfect ticket inside a ticket so I pushed the inside ticket back in and loved it. You can see it slightly more clearly here. I added walnut stain distress ink to the outer part to highlight the green ticket inside. I used the end of a ticket booth framelits die to give the bottom a ticket style edge. I also used up some Tim Holtz halloween remnant rubs. I love that parts of these can be used all year round. 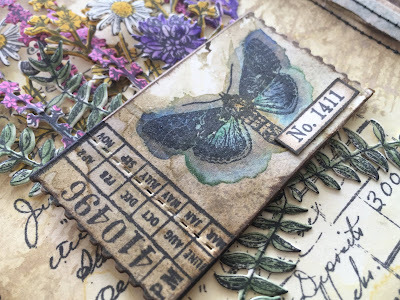 I also used some Tim Holtz holiday twine on the other tag. Covered with a little walnut stain distress ink gives it a more vintage and less candy cane look. 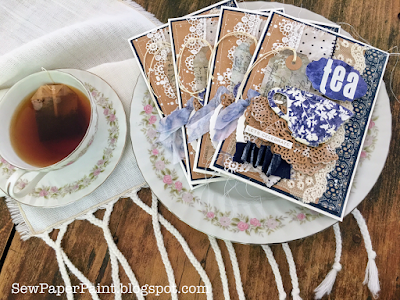 I hope you have enjoyed this Saturday showcase and take a look at the current Layers of Lace challenge. All the products I used are available from The Funkie Junkie Boutique. 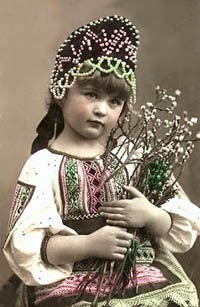 I hope you have a great and creative weekend.